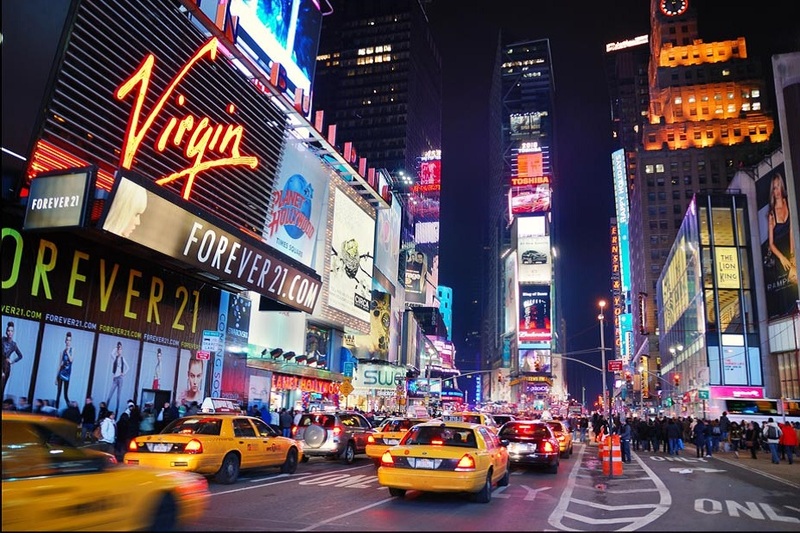 Visit New York – and see the world! Nowhere else offers such diversity in such a compact and exciting way; and no other city has the energy and arrogance to make it work so well. 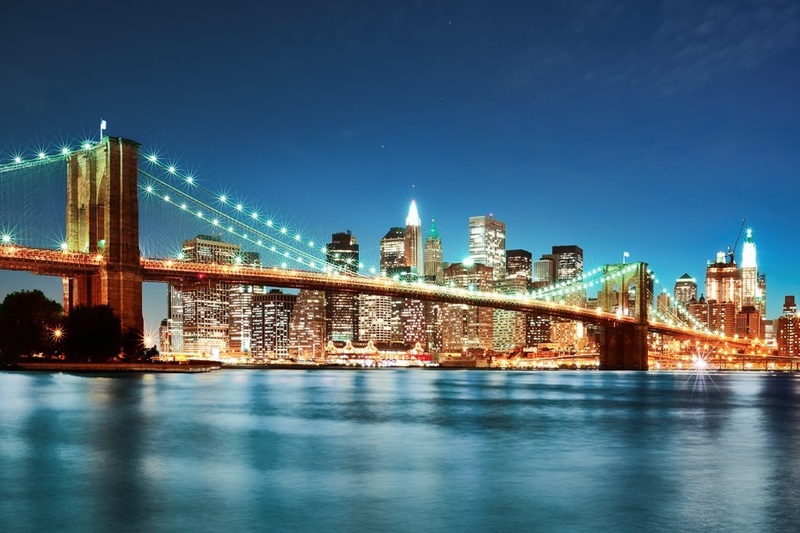 New York City is made up of the five boroughs of Queens, Brooklyn, Bronx, Staten Island and Manhattan. Within these boundaries live 7.2 million people, including significant populations of Spanish, Irish, Italian, Chinese, Russians and Jewish. It’s an eclectic mix of the world’s cultures and nationalities, and means that anything you could possibly want, in NY, “You got it!”. You can eat anything at anytime, and while you sleep the city keeps on going, churning out the American dream. Explore the city on foot and you will find that the highlights are all around you, compelling, addictive and in your face. Alternatively catch one of the famous yellow cabs downBroadway or jump aboard the subway trains that rattle their way through the city’s many neighbourhoods – it’s a unique place no matter what perspective you take on it. 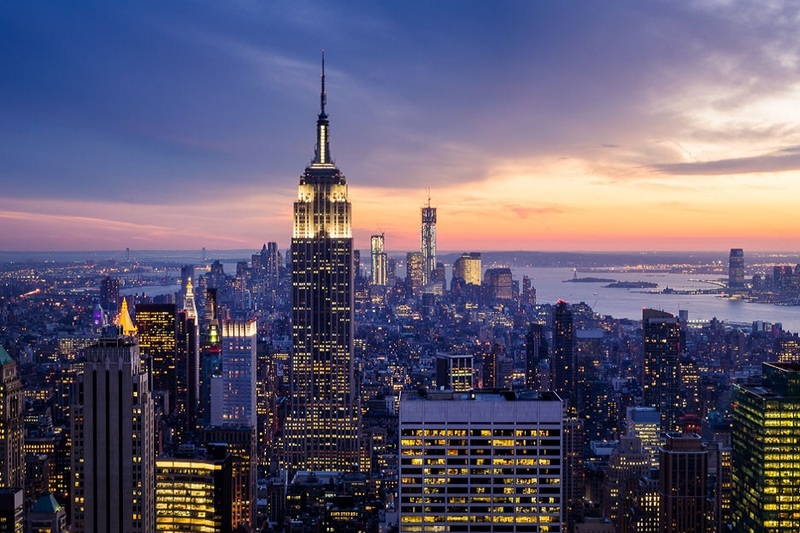 The city has outstanding museums, cultural icons like the Statue of Liberty, and even a vast dose of parkland right in the middle of Manhattan. You’ve got the centre of American commerce, sitting alongside Greenwich Village’s community of gentrified bohemia, and you can see Broadway and baseball all in one day. Like a truly great city, The Big Apple takes its contradictions and diversity and blends them into an exciting, spicy cocktail that will fire your imagination and bring you back for more. And, if you’re wondering about the origins of the city’s famous sobriquet it actually comes from jazz musicians’ slang for small towns: “little apples” or even “the sticks”; but New York was always the “Big Apple.” The name has stuck and no other title encapsulates this amazing place quite so well. NY awaits – come take a bite!